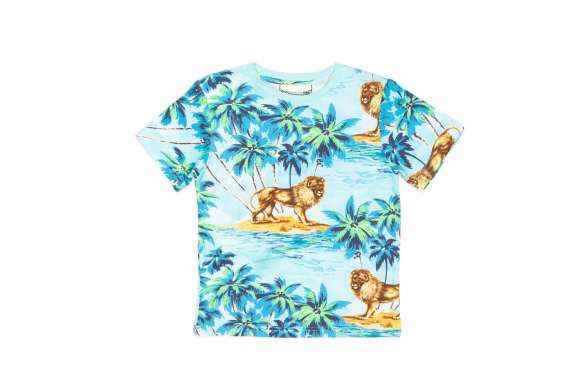 This organic cotton fun boys T shirt features a bold lion and palm tree print on a soft and comfortable fabric. 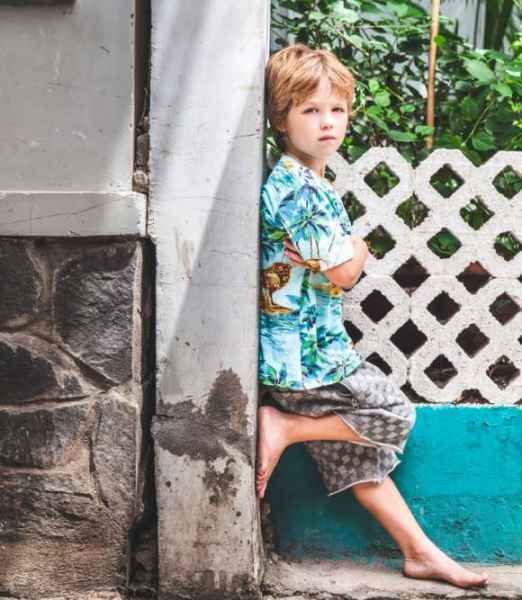 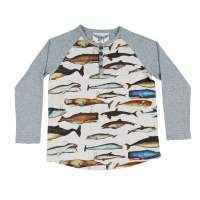 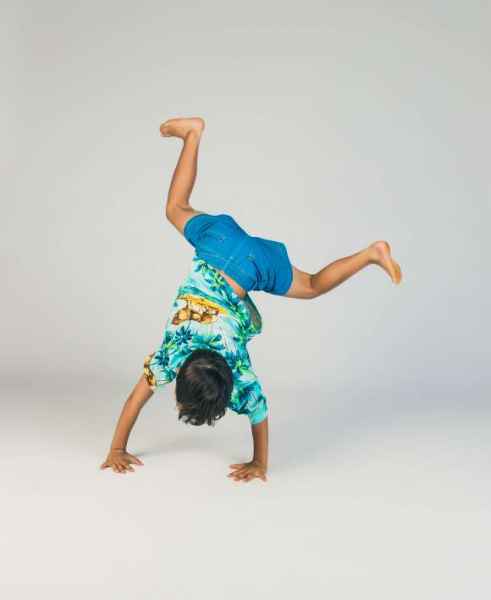 This unique children's short-sleeve shirt contains environmentally friendly 100 percent organic cotton fabric. 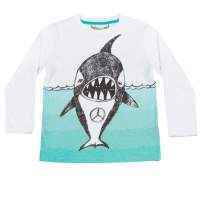 It makes a fabulous gift for any cool kid. 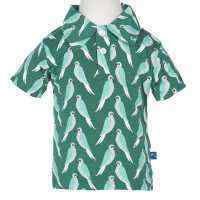 This trendy childrens shirt is an ideal unique birthday or Christmas present. 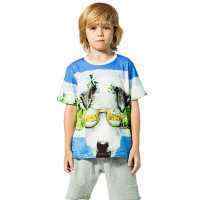 This organic cotton fun boys T shirt will keep him cool on long hot summer days. 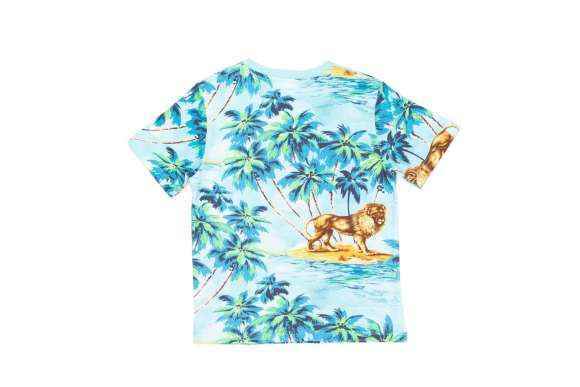 In this tropical kids tee, he will be the most stylish kid at the swimming pool, at parties, at camp, and at the beach. 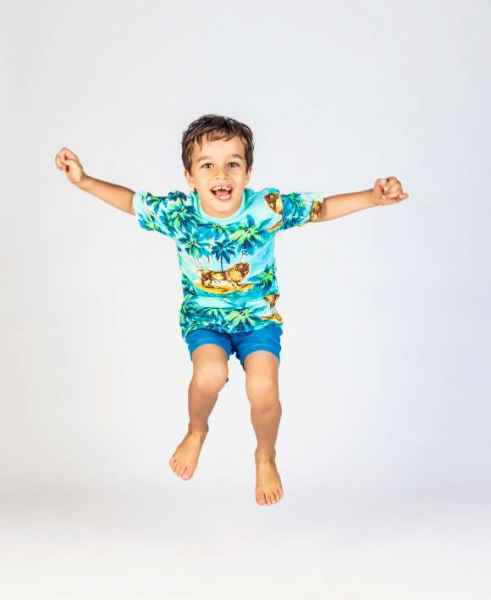 This eco friendly tee is a piece of clothing that older boys who are picky about their clothes think is cool because it has a laid-back tropical feel that's ideal for summer, when all he wants to do is swim and relax. 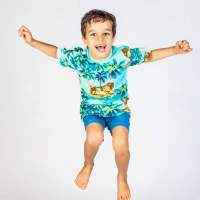 You can feel good about dressing your kid in this colorful organic cotton fun boys T shirt, because it features earth friendly organic cotton that was raised without chemical fertilizers. 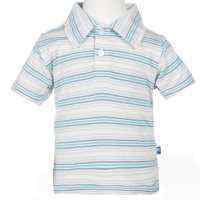 Organic cotton is softer than regular cotton and is also gentle on children's sensitive skin. 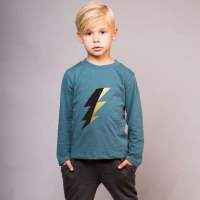 Kids love the soft organic cotton fabric in this tee that makes it the most comfortable piece of clothing hanging in the closet.